Health care clinicians using Evidence-Based Medicine (EBM) for diagnosis and treatment have been improving quality and reducing costs for years. Data-driven protocols enable clinicians to eliminate guess work and provide treatment at higher confidence levels. Having the above requires more than a typical depot repair shop with skilled technicians. It requires engineering depth, testing and research capabilities, and leadership that understands what to test, and how to identify valid evidence around which to build best practices. Following are 3 Benefits of Evidence-Based Repair that can help you maximize your inventory and ROI goals for 2019. Repair providers face increasing pressure to resolve problems quickly, yet doing so without valid data for best practices can have serious consequences. Those that engage in multiple types and levels of testing are more prepared to solve problems right the first time and achieve optimum outcomes. It’s important to ask providers what data they use to back up their practices. Is the data backed by high-level evidence from randomized controlled trials or observations from multiple time trial studies? Or low-level evidence such as personal experience and opinion? While low-level evidence can be impactful, the best evidence for building best practices and optimum outcomes comes from controlled testing and trials. With more than 150,000 successful probe repairs completed and a first-time fix rate above 95 percent, Innovatus Imaging continues to collect and apply proprietary evidence for repair methodologies for ultrasound probe, MRI coil and radiography device repairs. Ongoing testing programs help us gather evidence and identify thresholds at which efficacy diminishes further impacting our quality outcomes. While advanced testing capabilities are not always necessary for favorable outcomes, providers that engage in high-level testing programs can build proprietary EBR methods and provide in-depth information about your devices. Acoustic Testing (hydrophone measurements and acoustic force balance) is a good example. Acoustic testing measures the amount of energy delivered to patients and OEMs design their probes, in conjunction with their systems, to deliver a specific level of acoustic energy to the patient. Hydrophone testing of new probes allows engineers to document baseline acoustic performance and use the data to build an acoustic profile for a given probe model. As a result, EBR can insure repaired probes perform as originally intended. Documentation is another benefit of EBR. Providers can document processes, and data validating those processes, to enable end users to know precisely what they are getting from a repair and what to expect. At Innovatus’ Centers of Excellence, we conduct research and testing to identify best practices for EBR, asset management and long-term savings. Our proprietary Savings Planner is customized for clients upon EBR processes proven to extend lifecycles and enable investments and budgets to go further. As a result, we save health care providers tens of thousands of dollars annually. 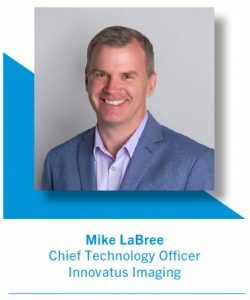 Mike LaBree is the Chief Technology Officer of Innovatus Imaging, and leads the Design and Manufacturing Center of Excellence in Denver, Colorado. He can be reached at MikeL@innovatusimaging.com or 844-687-5100.